Business leaders are welcoming the success of Plan Bee’s crowdfunded honey beer, Beehive Brae. The full-bodied, blonde craft beer will appear across Aldi‘s 67 stores throughout Scotland, bringing this full-bodied, artisan blonde to the attention of craft beer lovers North of the Border. Plan Bee has been widely recognised as a leading example of the impact that crowdfunding can have on your business. “Plan Bee is a fine example of how a company can utilise crowdfunding to enable success. 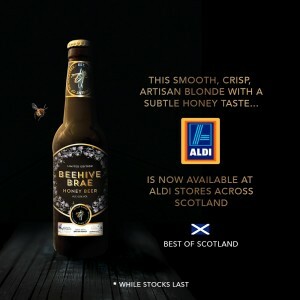 Craft beer is hugely popular, and having Plan Bee’s own label honey beer stocked in 67 Aldi stores across the country is good news. 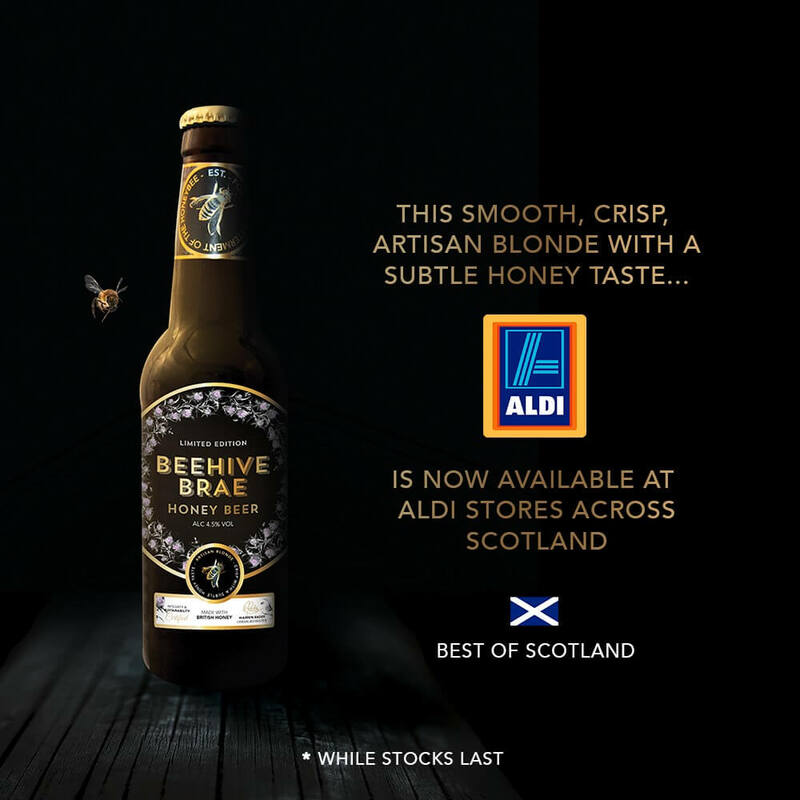 Aldi is the first major outlet to seize upon Beehive Brae, after Plan Bee came to the company’s attention through their Next Top Product competition, in which the sustainability businesses Origin Honey was also a finalist.